Evocative of an era that saw the last years of the British Empire, the Raffles Sofa by Eichholtz is a beautiful example of finest craftsmanship and timeless design. Perfectly at home in any of the famous, colonial style Raffles Hotels with their luxurious interiors, the Raffles Sofa inspires a genuine sense of nostalgia and elegance. 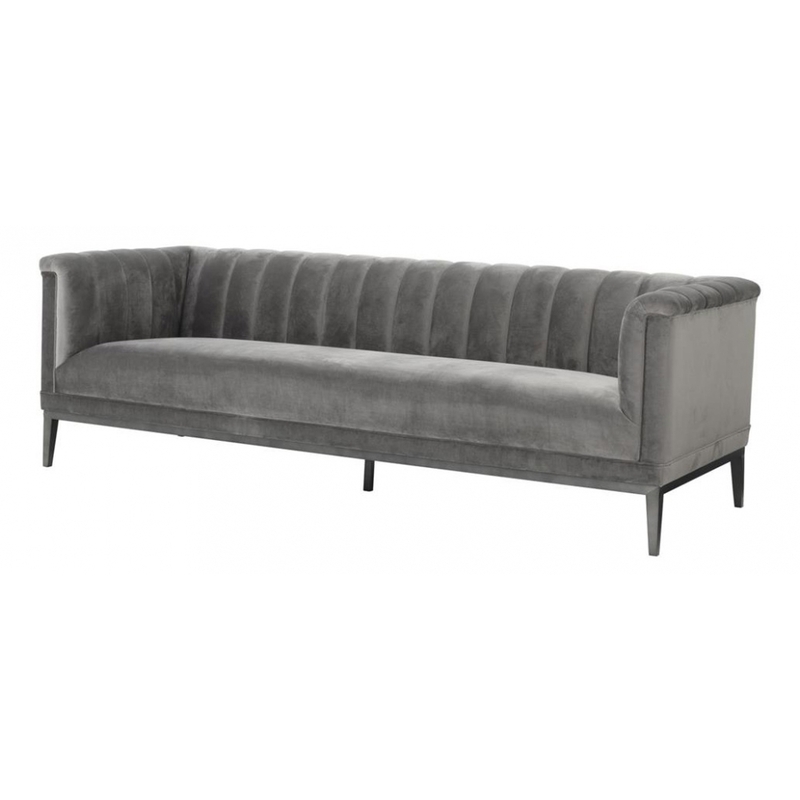 Available in a warm, Roche porpoise grey velvet or delicate, Roche faded rose velvet the Raffles Sofa is sure to enhance many different interior styles adding a delightfully unexpected twist to a contemporary hotel or office scheme or creating an intimate mood in an authentic period home. Great for larger living spaces or casual seating areas in hotel foyers and restaurant lobbies, the Raffles Sofa can also be paired with the Raffles Chair to create a seamless, co-ordinated look. Dutch interior design house, Eichholtz pride themselves on their eclectic collection of beautiful furniture, lighting and accessories carefully selected from around the globe. Here at Uber, we have an extensive directory of Eichholtz luxury homewares to choose from. Why not contact our expert interior design team for further details and inspiration to help you find the perfect curated collection for your next home, yacht, bar or hotel design project?